Jade is a gemstone steeped in myth and symbolism, revered and treasured for nearly 7,000 years. It comes in a wide spectrum of colors. Jade has been used in art and jewelry, as luck charms, for hairpins and combs, for carvings and as part of religious ceremonies, in ancient China and in other cultures as well. Its significance and power are multifaceted; its use in bracelets is just one of many ways to use or wear jade as a protective ornament. 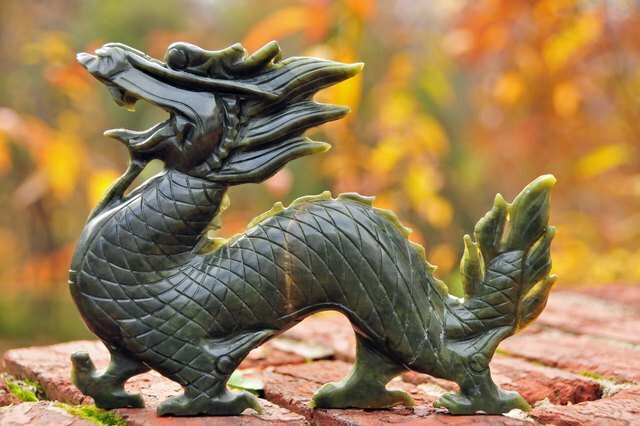 In early China, jade was known as "yu," or "royal gem." 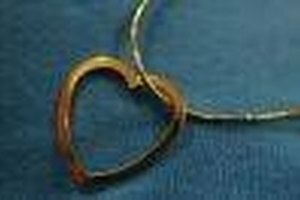 Its value was comparable to that of diamonds or gold in western culture. Its toughness made it ideal for use in weapons and tools. 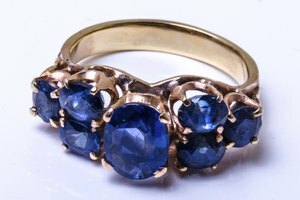 But its beauty made it popular for use in cult figures, grave furnishings for imperial family members and ornate jewelry. Jade was considered a powerful stone and was used in ritual ceremonies from as early as 5000 B.C.E. in China. Chinese people view jade as having the power to protect body and spirit, both for the living and the dead. Jade's value extended beyond Asia. In Central America, the Mayas, Aztecs and Olmecs valued jade above gold. In New Zealand, the indigenous Maori tribes carved native jade into weapons and cult instruments. Even in ancient Egypt, jade was considered a stone embodying inner peace, balance and love. In ancient China, people wore jade to ward off evil and injury. It was carved into small symbolic disks called "pi" that were used in religious ceremonies. 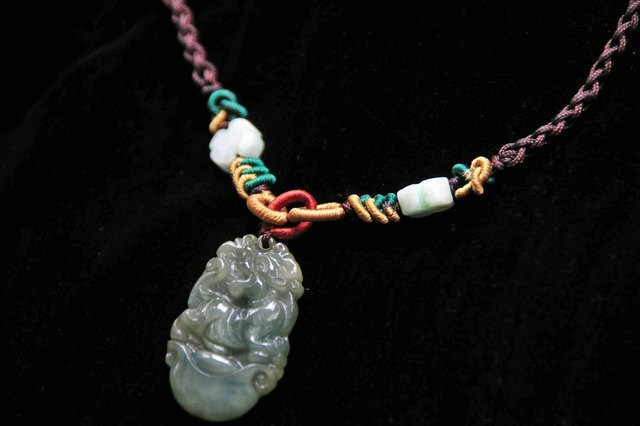 Many Chinese wore jade pendants and ornaments to indicate social status. Ancient beliefs associated with the power of jade still exist, including the practice of wearing jade bracelets for protection. Chinese parents often give their daughters or sons jade bracelets to remind them of the parents' protection and love. 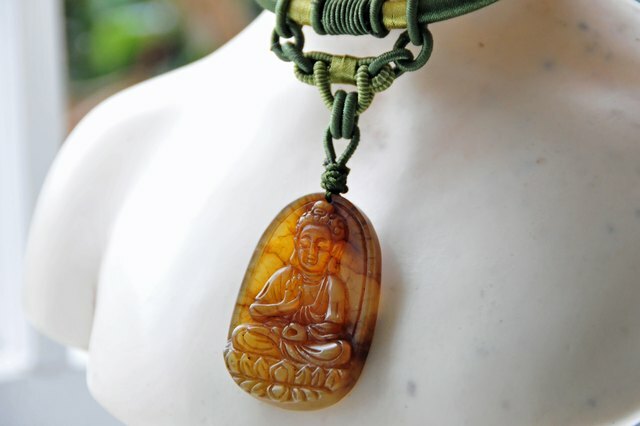 Jade is regarded as a symbol of the beautiful and precious, embodying the virtues of Confucius: courage, compassion, modesty, wisdom and justice. 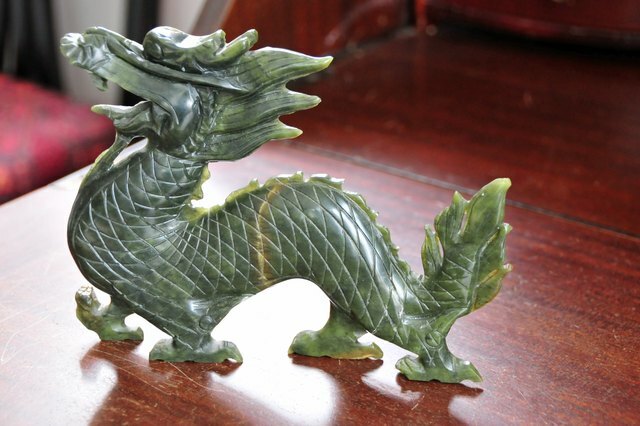 Jade comes in two varieties: jadeite and nephrite. Nephrite is the most common; its worth depends more on the quality of artistry involved in shaping and carving it than on the actual stone. Jadeite, however, is more highly valued because of its higher quality of translucency and deep green shades. 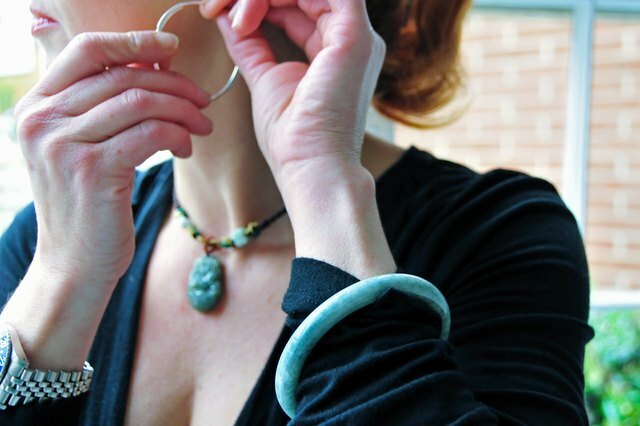 Most jewelry is made from jadeite, rather than nephrite. Aside from the color of a piece of jade, there are several characteristics to be aware of in assessing the value of jade, especially in jadeite, the more valuable kind of jade. Desirable qualities to look for include smooth finish, even texture, translucency, transparency resembling honey and intense, even color. Any jade with a mottled or blotchy texture, any cloudiness, dull color or tiny cracks is considered less valuable. Nephrite jade is usually green--sometimes gray-green, sometimes a darker green. It also comes in reddish, white or yellow tints. Jadeite is often green but can also be found in pink or white tones, as well as browns, violets, blacks and reds. The way the color is spread throughout the jade piece affects its value. The best jade has even, solid color. The most valuable jade pieces in Europe and the United States are the greens: apple, spinach or emerald green. 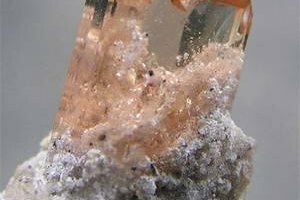 In Asia, however, the most highly regarded jades are those that are pure white or a delicate yellow with soft pink undertones. In jewelry, lavender jade is popular.